Birders and nature lovers are drawn to O’Reilly’s Autumn Bird Week to see star attractions such as the elusive Albert’s Lyrebird. But there are many other feathered friends that draw attention too! 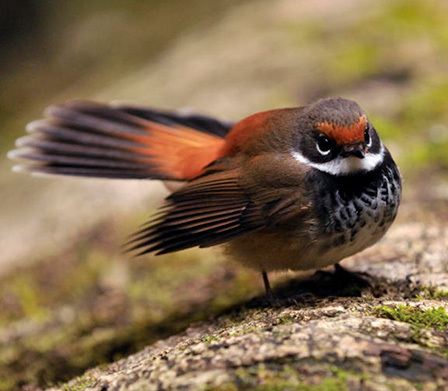 Meet a small but impressive collection of birds who will soon leave their breeding grounds at Lamington National Park in search of warmer weather… some 2000 kilometres away! No eye glasses as such but check out his impressive black eye mask! 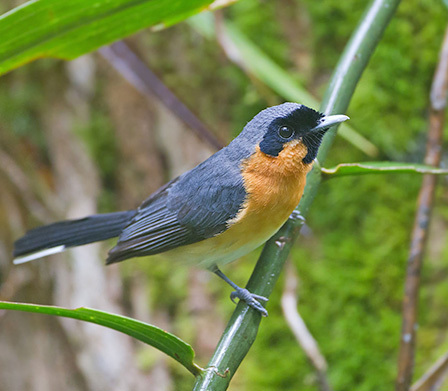 The Spectacled Monarch will soon head North as far as Cairns and Cape York to escape our Winter. This nifty little bird has bristles around its beak to help catch flies which come in handy as they feed by day and fly by night (to avoid being eaten by hawks) on their big trip North. 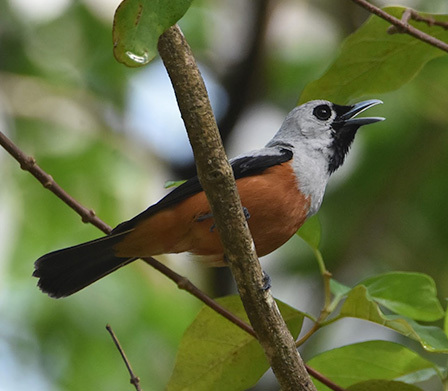 Rufus Fantails will virtually disappear from southern locations to avoid the cold and fly as far as New Guinea and the Solomon Islands – over 2000 kms away – impressive! 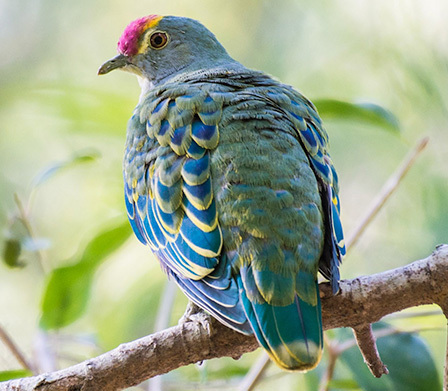 The pretty Rose-crowned Fruit Dove will move locations in search of figs and other fruit. 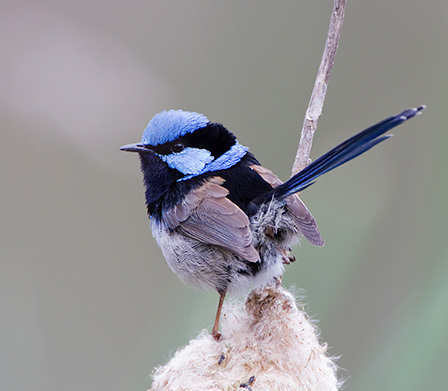 O’Reilly’s Autumn Bird Week is also popular for birders who want to explore the lower, and less dense, landscapes of Lamington National Park. 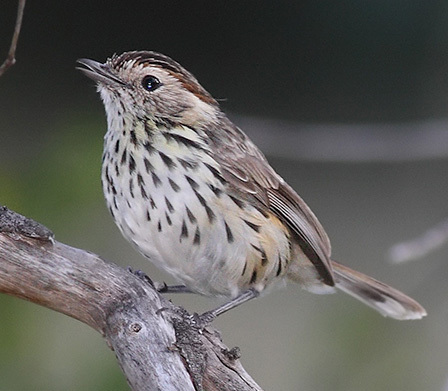 Where rainforest meets eucalypt and ponds attract some special natives, such as the Speckled Warbler, the Weebill and delightful brightly coloured Fairy Wrens. 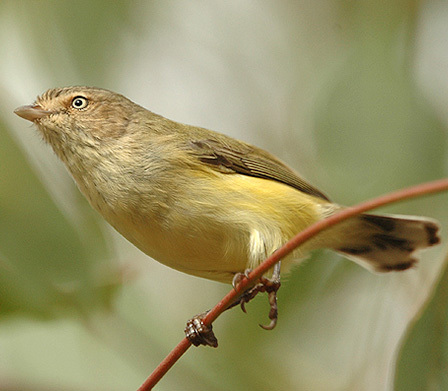 The Weebill is Australia’s smallest bird at just 8cm tall! 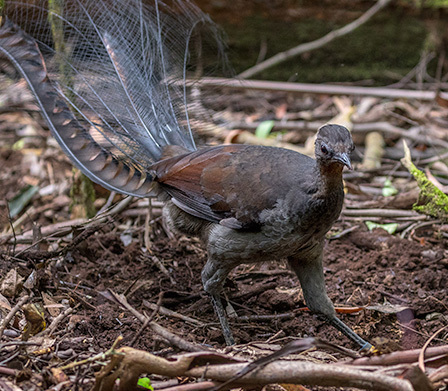 The shy and hard to spot Albert’s Lyrebird is unique to Lamington National Park landscape and Northern NSW.